Brrrr…it is mighty foggy this August! Pack a sweater, because the redwoods are misty these days. This summer we’ve met a number of families escaping the heat in their hometowns (in Texas, Southern California, Germany, etc.). It’s hard to imagine the rest of the country under sweltering heat. 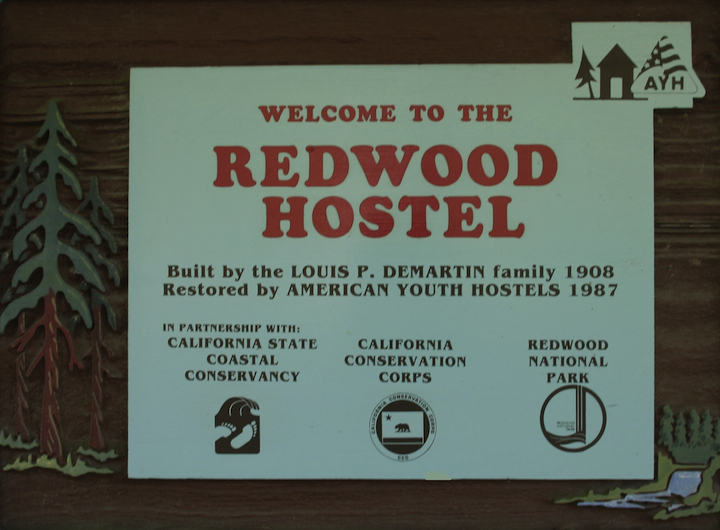 HI-Redwood Hostel is directly across from the Pacific Ocean in a little cove called False Klamath Cove. We’re only a few miles from the Klamath River’s real cove, so it’s only fair to assume that over the years at least one exhausted ship captain made a wrong turn. Abraded driftwood, the loose logs rubbed between the ocean’s palms, piles up in the wintertime. But now, the choicest pieces have been picked, domesticated in backyards. I like to stand near the bridge, close to where Wilson Creek runs into the ocean, and watch birds, knowing I’m only five miles from the inland heat but feeling, on this edge of an ecosystem, feeling like I’m standing in another world.